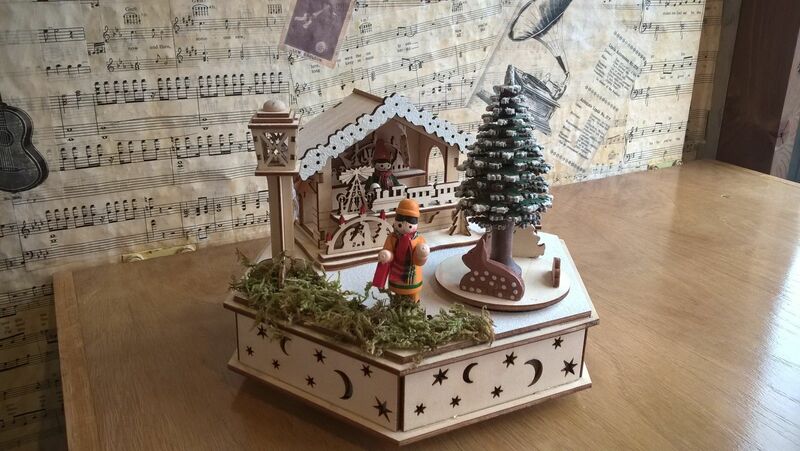 This unusual Christmas decoration is made from wood and depicts a Christmas Market scene. The scene is fixed onto a hexagonal base which has stars and moons cut into it. There is a Christmas market stall in the background selling wooden toys. 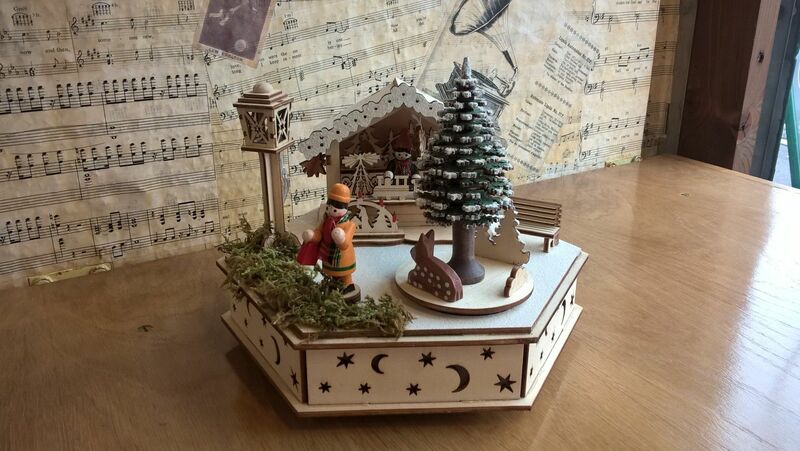 At the front of the scene is a Christmas tree that rotates when the music is playing. Beneath the tree is a deer and some smaller trees. 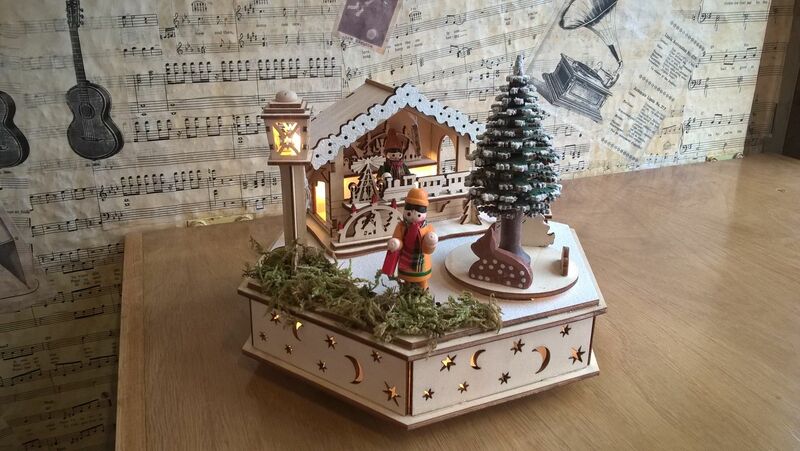 There is a wooden figure at the front of the scene and a street lamp to the left of the stall. The street lamp, and market stall light up when 2 x AA batteries (not supplied) are inserted into the base. The stars and moon are also illuminated through the base when the batteries are switched on. The musical movement is fitted into the base of the scene and is wound with a key. When the musical movement is playing the tree and deer rotate. The musical movement plays: Jingle Bells. 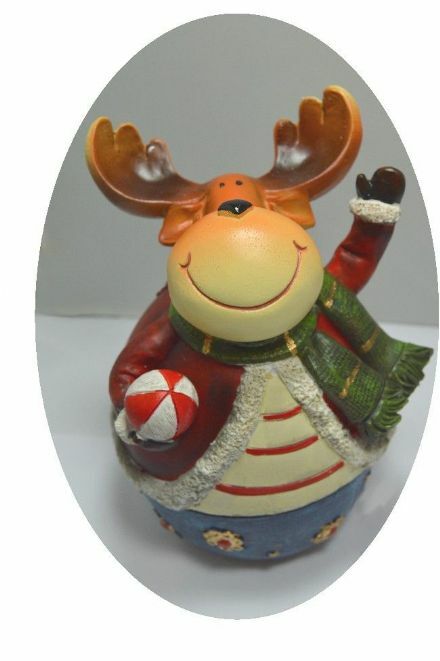 This beautiful Christmas decoration will enhance your Christmas display for many years. Approximate dimensions: 20cm x 16cm x 16cm high. 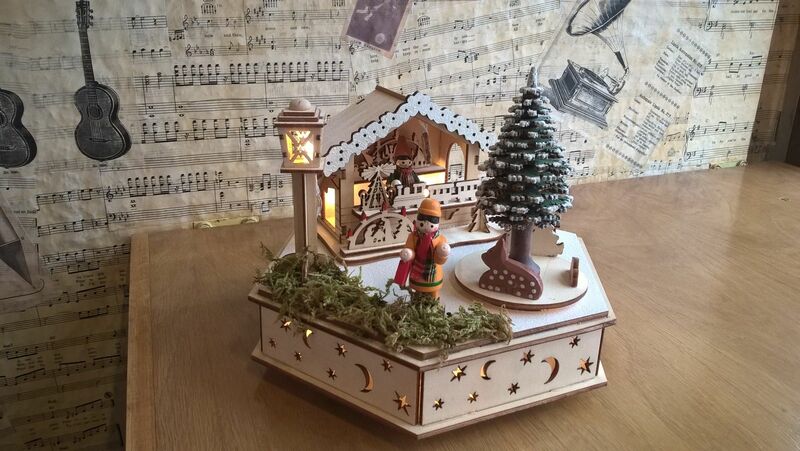 Music Box Tune: Jingle Bells. Please Note: This is not a toy, it has small parts and is for decorative purposes only. It is not a toy.